Dell EMC and VMware have signed up as co-anchor sponsors of I Wish 2017, an initiative developed to encourage more young women to choose subjects during their transition year to give them the option of a career in science, technology, engineering and maths (STEM). 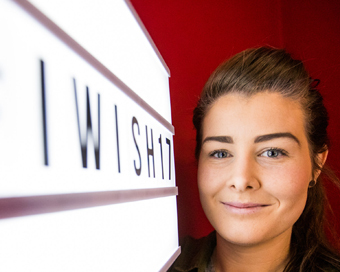 More than 4,000 female students will participate in I Wish 2017 through talks, demonstrations and interactive hubs meeting with inspiring women working in a variety of STEM roles. The series of events, will take place in Cork on the 9th and 10th February and in Dublin on the 13th and 14th February. Speakers from Dell EMC including Marie Moynihan, Vice President of Global Talent Acquisition, and Aisling Keegan, Ireland General Manager, will address I Wish, imparting lessons gained from their own experience in the technology sector. Speakers from VMware include Karen Egan, Vice President of NSX, Global Support Services and Eabha O’Leary, Inside Sales associate. The wider Dell EMC and VMware teams will also be on hand at the events as volunteers, sharing information directly with attendees about their own roles which range include sales, IT and manufacturing to finance and technical support. You can find more information here.